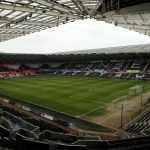 Swansea City’s Connor Roberts continues to go from strength to strength and he’s proving to be one of our best and most consistent performers this season after another excellent display in Saturday’s comfortable 3-0 win against QPR at the Liberty Stadium. He’s more than comfortable playing as a fullback, wing back or right-sided midfielder and he suits Graham Potter’s need for versatile players and rotations perfectly as he’s developing a good link-up with Kyle Naughton down the right. 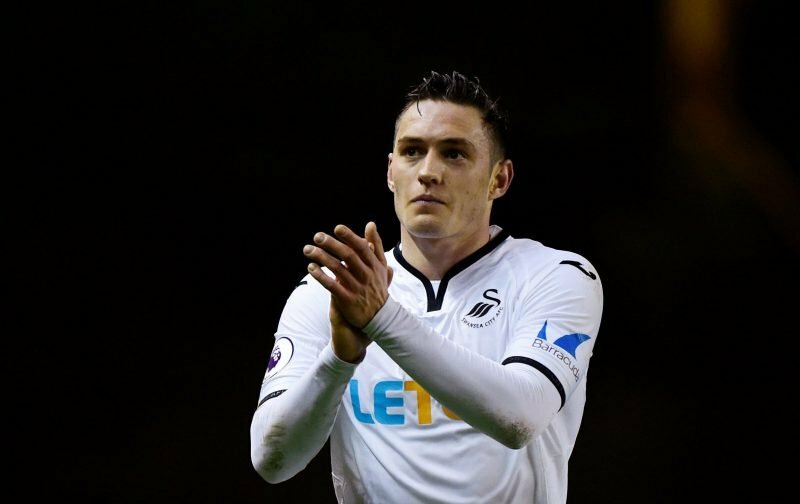 After scoring his first goal for Wales in the 4-1 win over Ireland last month (watch below), his first for the Swans wasn’t going to be too far away as he finished it in such style with his weaker left foot – both for Wales and now the Swans! It was a performance that had plenty of man of the match contenders but Roberts came out on top in the WhoScored.com ratings with an impressive 8.92/10. 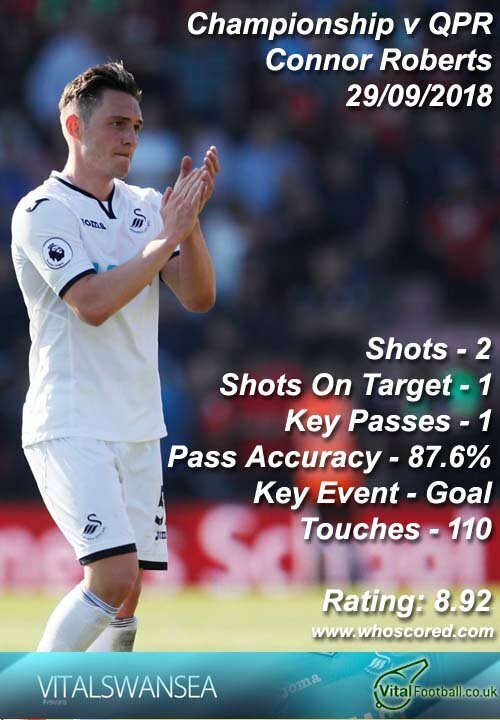 Oli McBurnie was close behind with an 8.6/10 rating. Roberts’ energy – getting up and down the right flank has been impressive all season and it’s something that manager Graham Potter has recognised early on here. His stats were impressive across the board – both defensively and offensively. The graphic below doesn’t list them all – including his 4 tackles, 2 dribbles and 2 aerials won. 87.6% passing accuracy with 78 accurate passes out of 89 attempted. I concur. Rolls Royce engine on the kid.